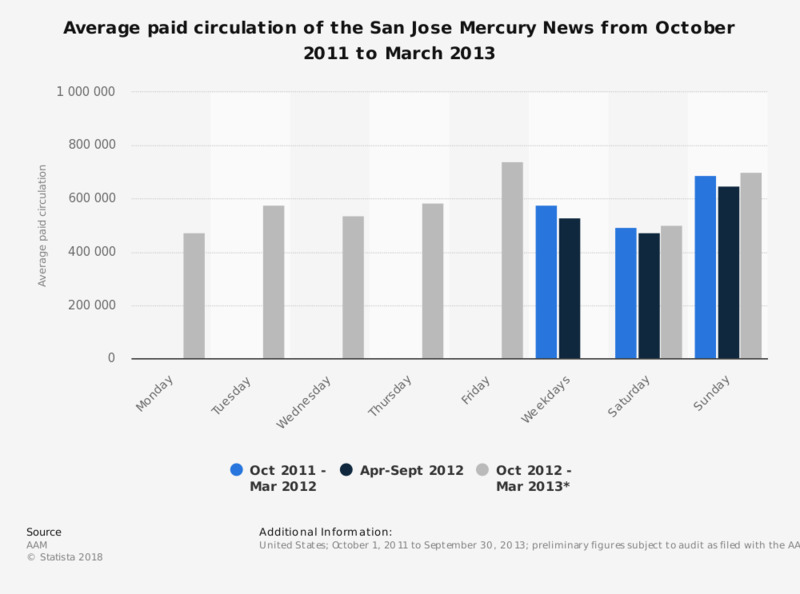 This statistic contains recent circulation numbers for the San Jose Mercury News. In the six months period ending March 31, 2012, the average paid Saturday circulation of the San Jose Mercury News was 501,617 copies. * For the period from October 2012 to March 2013, AAM changed the way it reported its San Jose Mercury News figures, due to reduction in its print frequency and elimination of its five-day average. Figures other than for the period October 2012 to March 2013 come from previous editions of the report.